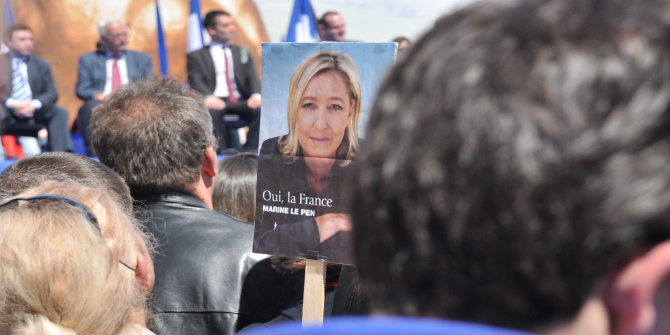 With The Populist Radical Right: A Reader, editor Cas Mudde brings together seminal social science scholarship on the radical or extreme right in Western democracies produced between the early 1990s to the present day. With a wealth of information that will be of particular use to scholars and students beginning research in this field, the volume will leave readers better informed but far from optimistic about the challenges posed by the populist radical right today, finds Andrew Reid. The Populist Radical Right: A Reader. Cas Mudde (ed.). Routledge. 2017. Populist, radical right-wing parties have gradually increased in popularity across Europe to the point that many commentators are speculating that we are on the verge of a crisis of liberal democracy. There is a wealth of academic literature charting this rise, but there have been few attempts to tie it all together. 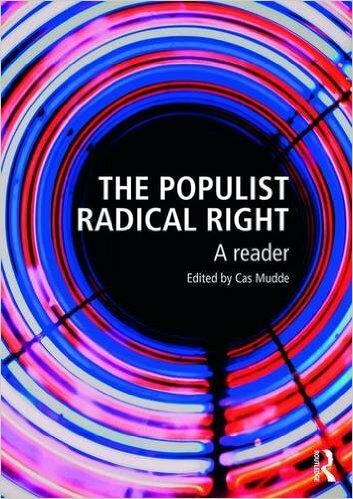 For the edited volume The Populist Radical Right: A Reader, Cas Mudde, one of the preeminent political scientists working on the topic, has selected a range of scholarship by social scientists drawn from the early 1990s up to the present day. Whilst ‘readers’ like this tend to be dipped in and out of, it was interesting to go through the different articles and get a sense of both the changes that have occurred and the concerns that have remained the same. The main trade-off that Mudde makes in the choice of works is that he has eschewed a degree of methodological pluralism to give a greater sense of coherence to the collection. This means that most of the contributors are engaged in a form of comparative politics, and that most also operate within a theoretical framework compatible with Mudde’s own. This is not a bad thing, although it is striking that only one contribution uses extended quotes from interviews with far-right activists. That said, whilst there are always things that might be added to a collection like this, it is hard to dispute any of the selections that Mudde has made. The reader is aimed at three audiences: scholars, students and activists. The first two are catered to more directly. The book would be a useful first stop for anyone embarking on research in this area. Students will benefit from the introductions to each section as well as discussion prompts and ‘revision questions’: the book could easily form the basis of a course on populism. The only minor complaint on this front is the ordering of the chapters thematically rather than, say, chronologically. Although it makes sense intellectually, a couple of the chapters that appear later in the volume would also serve as good introductions to the topic. Something that might seem strange to non-specialists approaching this literature is the sheer volume of work in the reader devoted to defining the ‘extreme’, ‘populist’, ‘far-’ or ‘radical’ right. Although I have used variations of these terms interchangeably for the purposes of this review, it is a matter of some contention. While there is broad agreement running throughout the volume on the defining features of populist right-wing ideology, there is also no consensus on which parties ought to be considered in this category: UKIP, for instance, are seen as ‘populist’ by some contributors, but not by others. Getting this definition right is important because it reflects a normative judgment. Wherever the line is drawn, the radical right are contrasted with ‘mainstream’ political actors. Whilst some parties might relish the outsider status implied by this distinction, it comes attached to an implicit condemnation. As Mudde wryly notes in the introduction, the study of the radical right is unique in being produced almost entirely by those who emphatically reject the values the movement stands for (2). Indeed, a motivation for many of the scholars in the volume is that their work might prove useful to political opponents. The collection shows that the success of populist, radical right-wing parties has tended to come when they can combine a general concern for immigration with another issue like unemployment and security, and then distil this into a simple campaign message. Various contributors show how such messages have enabled them to cultivate a base of support that cuts across traditional party lines. So far, despite this increase in support, the authors represented in this volume agree that the radical right have had limited influence on policy. Their main successes have been in pressuring other parties into adopting a harder line on immigration and related policies, yet they have failed to make much headway elsewhere in areas such as social policy. One of the unresolved debates running through the volume is whether increasing support for the radical right is a result of hardening public attitudes towards immigration, a cause of said attitudes or – perhaps most likely – that the two trends are mutually reinforcing. Many of the contributors also consider the radical right in the context of the perceived threat they pose to liberal democratic institutions. Radical right parties seek to distort existing norms of citizenship so that they might be applied selectively on ethno-nationalist grounds – a radicalising of widely held views that Mudde refers to in his own work as ‘pathological normalcy’. They attempt to define the true ‘people’ or citizens of a nation, and will pursue policies that disadvantage those who fall outside that group. Often they will target particular groups within society, typically defined on racial or religious grounds – Jews historically, Muslims more recently – but these have also included welfare claimants and bureaucrats. This distortion of liberal democratic norms is mirrored in the tactics employed by populist right-wing parties, who seek to undermine political institutions from within. Since the mid-1990s, they have tended to play by the rules of democratic procedures and turn their backs on ‘street politics’, whilst at the same time pursuing policies that seek to remove the substantive benefits of citizenship for some. Perhaps the most significant effect of this is to de-couple the ‘liberal’ and ‘democratic’ components of the political culture in some nation-states. The problem facing would-be opponents of the populist right is that the most effective responses to this de-coupling involve a widespread acceptance of liberal democratic norms by the majority of the population that may no longer exist in many European countries. The nature of liberal democracy is that once a critical mass of public opinion turns against it, core rights and entitlements can only be preserved through actions that themselves break democratic rules. The question facing states of whether to take such action is presented in various forms through the volume, but perhaps most succinctly by Jaap van Donselaar who calls it ‘the dilemma of repression’ (554). Readers of any or all of the volume will therefore likely come away better informed but hardly optimistic. The book excels in mapping an increasingly wide division in many societies. Like most good academic works, it should act as a sobering counter-weight to a strain of punditry that offers overly simple solutions to complex political problems – in this case, that the challenges posed by the populist right might be resolved through relatively minor adjustments in the behaviour of ‘mainstream’ politicians. Note: This review originally appeared at our sister site, LSE Review of Books. The article gives the views of the author, and not the position of EUROPP – European Politics and Policy, nor of the London School of Economics. Andrew Reid is a PhD candidate in the Politics department at the University of Leicester. His research interests are in political theory, particularly debates around public justification, democratic theory and political rights.